Five years ago today, Taliban gunmen tried to kill Malala Yousafzai in Pakistan in response to her advocacy of education for girls. The Taliban justified the attack by claiming the then-15-year-old’s education efforts were pro-Western and anti-Islamic. The shooting came at a time when social hostilities involving religion were at a high point, both globally and in Pakistan. More recently, these hostilities in Pakistan have ebbed somewhat, though the country still faces many challenges in this area. The type of attack carried out against Malala – along with other social hostilities involving religion – is captured in Pew Research Center’s annual coding of global religious restrictions. The Social Hostilities Index (SHI) is a 10-point index that measures acts of religious hostility by private individuals, organizations or groups in society, with a score of 10 indicating the highest level of hostilities. In 2012, the year Malala was shot, social hostilities involving religion hit a six-year high worldwide as well as in Pakistan, which scored a 9.8 that year. During this time, Pakistanis accused of blasphemy were killed, according to the U.S. State Department’s annual report on religious freedom, and discrimination against the country’s religious minority groups, such as Shiite Muslims and Christians, remained prevalent. In the years following the attack, social hostilities have declined somewhat in Pakistan. In 2015, the most recent year for which data are available, Pakistan is still in the “very high” category, but the SHI score has decreased to 7.2. Looking at overall restrictions on religion – which combines government restrictions (such as laws and official policies) with social hostilities – Pakistan had some of the highest scores among the world’s 25 most populous countries in 2012, along with Egypt, Indonesia, Russia and Burma (Myanmar). In 2015, Pakistan was still among the most restrictive overall, along with Russia, Egypt, India and Nigeria. 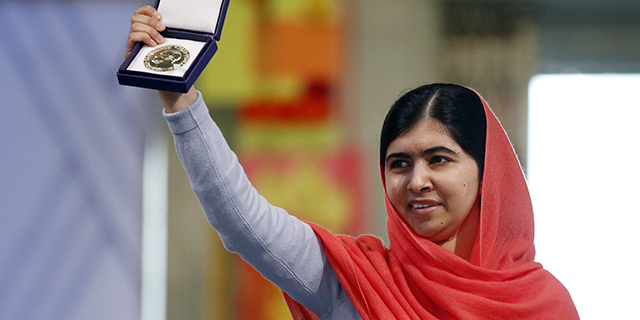 Malala recovered from her injuries and was eventually awarded the Nobel Peace Prize in 2014 at age 17 – becoming the youngest-ever recipient of the prize. She continues to advocate for education for girls. Worldwide, women receive fewer average years of schooling than men. Women receive an average of 7.2 years of formal schooling while men average 8.3 years, according to a 2016 Pew Research Center global demographic study. In Pakistan, the education gender gap is wider, with men receiving 4.9 years of schooling, on average, compared with just 2.6 years for women.